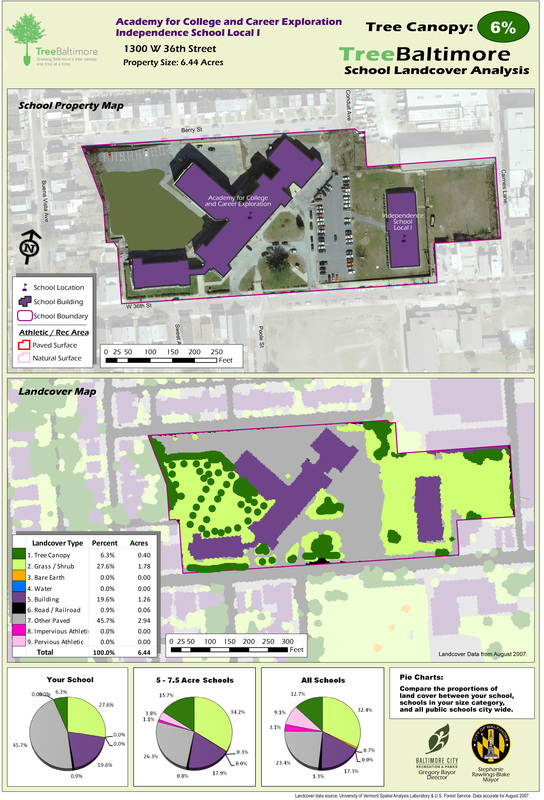 This school profile shows the existing pervious and impervious surfaces prior to the removal of the asphalt and the restoration of the rear of the school. 32670 square feet of asphalt was removed and the soil amended. The area was then stabilized with grass for the Fall of 2011, until several planting days through the 2011-2012 school year were held. During those planting days, trees, shrubs and perennials were planted to create a native tree grove, a pollinator meadow, and a shrub border to further reduce any runoff from the newly exposed soil. 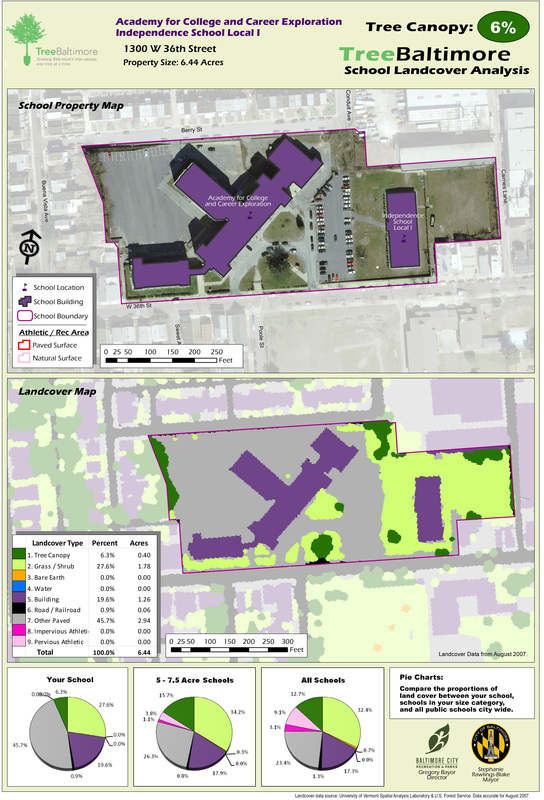 The CIty did an environmental analysis of the property. Here is the original, before any interventions.